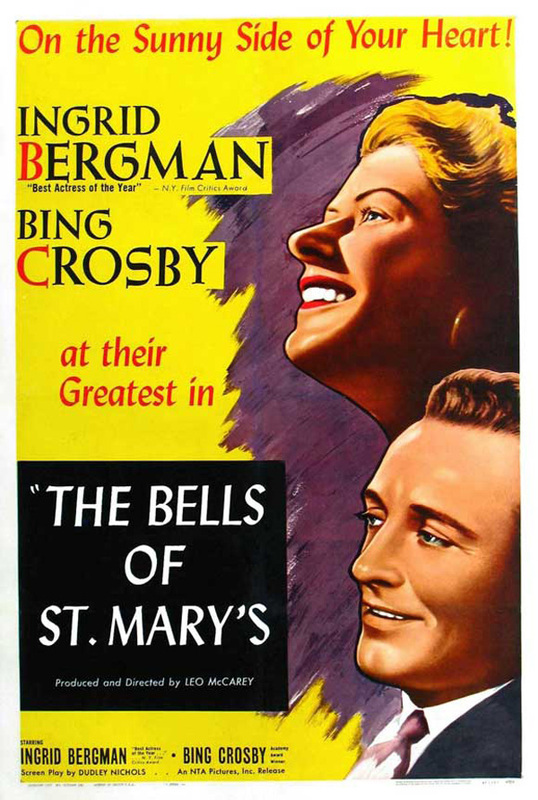 The Bells of St. Mary’s is the sequel to Going My Way (1944); both by Leo McCarey and both the most successful box-office his of their respective years. It is according to Richard Corliss ‘officially loved’; Pauline Kael thought it a recruiting poster for the Catholic Church matched only by The Exorcist (William Friedkin); writing in 1973, Joseph McBride wrote that ‘If you don’t cry when Bing Crosby tells Ingrid Bergman she has tuberculosis, I never want to meet you and that’s that’. Much as I admire his work, perhaps it’s lucky we’ve never met. How is The Bells of St. Mary’s in any way acceptable? It’s false through and through and offensively so: hip priests and cute nuns, pretending to be all self-sacrificing and cheerful, solving all the world’s problems, manipulating everyone with prayer, conning an old man out of his building. There’s a big Leo McCarey retrospective here at the Cinema Ritrovatto. Yes, he is the director of beloved films such as Duck Soup (1933) and The Awful Truth (1937); and, yes, they are greatly to be cherished. But he is also the director of My Son John (1952). Why isn’t the falsity in his work also part of the discussion of McCarey? How can critics let such lies go through? 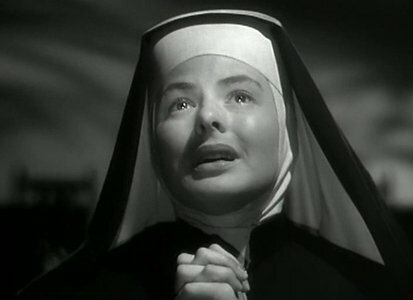 Yes, there’s Ingrid Bergman, gloriously radiant, enraptured in a halo of faith that is beautiful to see; Bing sings skilfully in that marvellous baritone of his; McCarey is great at staging the comedy in a low key, famously improvised manner; the actors are excellent; but excellent in the service of what? It’s an insult to one’s intelligence; a testament to the power of lies, the American equivalent of a Stalinist film about the redeeming values of cement and the glory of sacrificing individual life and happiness to the five year plan. A film that turns from pleasant to hateful as soon as the thought it fights so hard to displace is applied to it. Yet, also one of the most popular films of all time and thus perhaps all the more reason to think about it seriously.